Exclusive Interview with North County Battalion Goalkeeper James Stroud. I had the pleasure of interviewing NC Battalion Goalkeeper James Stroud. I became good friends with James during our time in the San Diego Flash Organization. I truly believe that the player of the game for the 2nd #CraftBeerCup or San Diego Derby will be a goalkeeper. So I decided to sit down and conduct interviews with the starting keepers for NC Battalion and Albion SC Pros. The San Diego Derby used to feature the San Diego Flash vs. San Diego Boca and will now feature Albion SC Pros vs. NC Battalion. San Diego Flash and San Diego Boca are no longer around. Albion SC Pros owns the bragging rights for 2016 as they defeated the NC Battalion 3-1 in the 1st #CraftBeerCup. 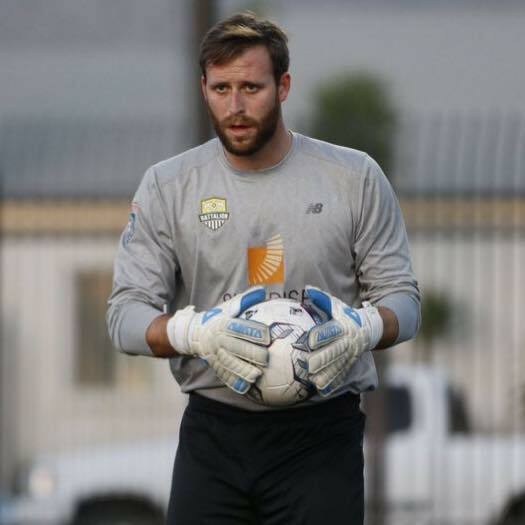 James has been one of the best goalkeepers statistically in the NPSL Southwest Conference for some time. Due to injury and rehab James sat out a few of games early on this season. The last time that the NCB played Albion Pros was on April 16th and James was still out. James was actually leading the NCB Supporters section during that game. He is looking forward to stepping on the field and helping NCB to even the series at 1-1 and steal 3 points away from the 1st place Albion SC Pros this Saturday. The game kicks off at 5:00 PM at Mission Bay High School. David: What is the difference between playing for NC Battalion and the San Diego Flash? James: The main difference between the teams is the sense of professionalism that comes from NC Battalion. The Battalion really cares about our development as a player. Having a professional atmosphere makes a major difference for players especially when you are not getting paid. As a player you need something that will keep you motivated to play. As a player at my age I want to keep getting better and that is something that the NC Battalion has given me a little more of than the Flash. James: I was born in Philadelphia, Pennsylvania. I grew up from the age of about 7 to 15 outside of Charleston, South Carolina. It was a crazy experience of moving to a city in which I knew no one. I learned a lot about who I wanted to be and I learned a lot about who I didn’t want to be. South Carolina, you would be amazed, loves their soccer. I had season tickets to the Charleston Battery and that’s where the love of soccer came from. James: I started playing soccer when I was 4. I started playing at a high level of competitive soccer when I was in South Carolina. I was a three-time SC State Champ. I had a blast growing up in SC. The coaching was amazing and we had a ton of professional players affiliated Charleston Battery as our coaches. James: I basically tried everything. I played baseball and basketball up until about 10. I played pretty much every sport. The only sport that I did not play competitively was football and I wish I did. I had a connection to soccer because my mom is English. My grandmother told me stories about English teams. I have always wanted to play in front of a really committed and passionate fan base. I never saw that with baseball and football. I quit every other sport but swimming. I went to state and set a state record for the 100-meter butterfly. Swimming actually really helped me with soccer. James: My favorite player was Brad Friedel ever since the 2002 world cup. He is the reason that I became a goalkeeper. My favorite team as a child was Charleston Battery. At that point was not very into English soccer. I was just a fan of American soccer. I have really enjoyed watching the league develop as I was born in 1991 and the league began in 1995. I did not become of fan of Everton until I was in college. David: If you could tell your 8-year-old self one thing, what would it be? James: Stop eating so many Oreos and keep swimming for two more years. I stopped swimming when I was about 13 or 14 and I got so chubby. I have worked to keep that chub off for such a long time. I have been last in fitness ever since that time. James: First thing that I do is make a decent breakfast for myself. I will go for a walk. That really stuck with me from college. On road trips my coach would wake us up at about 9:30 or 10 AM and we would walk around whatever town we were in. Now I just make sure that I stretch my legs out a lot since that is the most important thing. David: What is your favorite movie. James: My favorite movie is and will always be Anchorman. James: My biggest strength is my ability to anticipate the play of the game. I can anticipate what people are doing. Even though I am not the fastest or slowest player on the pitch I am able to get myself in the position to succeed. James: My biggest weakness is focus. Soccer is a long game since it is 90 minutes. I think this is an issue that every goalkeeper faces and if he says it’s not he is more than likely lying to you. Some people can lose focus and nothing happens. Others can lose focus and something happens. I have worked on it and have been got better. Looking back in college I would make stupid mistakes at the end of the games that I do not make anymore. David: Who will be the key from NC Battalion in beating Albion Pros on Saturday. James: The key to defeating Albion Pros on Saturday will be our Berrick Rastok our current captain (Joe Shaw is the main captain for NC Battalion but missed the game due to injury). He is one of the most relied upon guys on the field during every game. He does a great job of maintaining passion and keeps everyone in check. He will definitely be important for us. David: What is the key to beating Albion Pros on Saturday. James: We figured out the key last Saturday. We were playing as a bunch of players and not as a unit. We have had issues with this during the season. We need to trust and rely on each other to get the win. We need to play as a team to beat Albion Pros on Saturday. David: Where do you see NC Battalion Pros/NPSL going in 5 years? James: I see the NC Battalion as a leader in the league if we are still in the league in the next 5 years. We are creating a huge footprint. We have a huge following and if the trend continues it’s only going to get better. 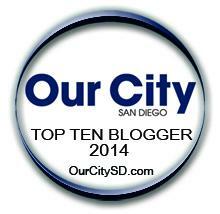 If we are established at that point in San Diego it’s going to be great. I see the NPSL getting a lot bigger. The league needs to continue to expand to the west. I feel that the NPSL is larger in the eastern part of the country and the west tends to be forgotten in my opinion. As soon as the NPSL evens out throughout the country I can see the league averaging what the USL had about 4 years ago. The USL will be like what the MLS was 4 years ago and MLS will explode. James: I will play at the highest level of soccer that I can until my body gives out. I have already begun to see the warning signs but I feel that if I can take care of It I have some time to make an impact. If that’s with the NC Battalion here in San Diego or if something amazing happens that allows me to play at a higher level. David: Do you have any advice for children? James: Pick a role model that you really respect. Don’t try and be them. Try to be better than they are. James: The crowd might be loud this Saturday but my voice will be louder. I am a loud dude.